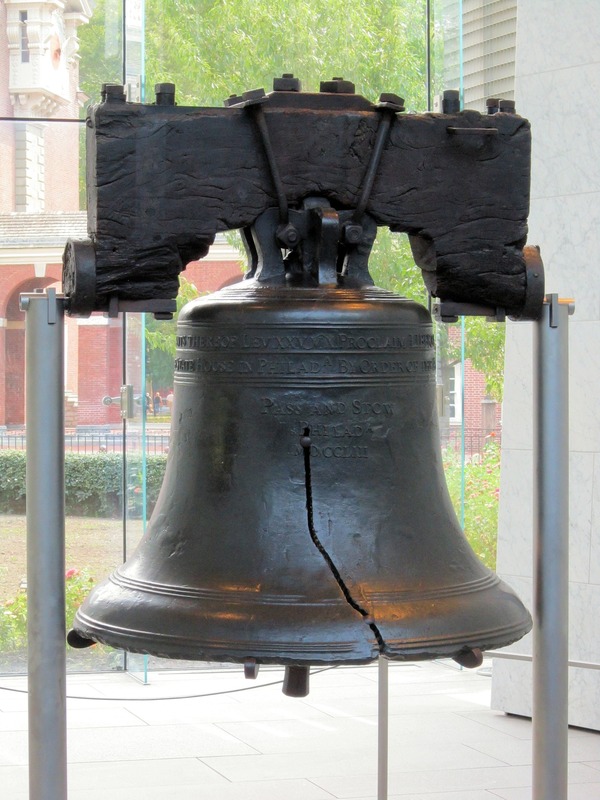 Here I sit in Philadelphia, writing this Hot Topic a few days before July 4th, America's national holiday, only a few miles from where the colonists declared their independence from England. While we celebrate the concept of independence, we need to recognize that the founders of the United States were also defining co-dependence or inter-dependence as the basis for their wished-for democracy. Just as the pilgrims committed themselves to the Mayflower Compact -- a social contract -- more than a century earlier, the new state delegates framed the United States Constitution “to form a more perfect Union” for mutual "Welfare," even to the point of fighting to the death for the chance to do so. I am not going to romanticize history, especially knowing that the early doctrines of this country were created by and for white men and contained overwhelming contradictions such as permitting slavery and treating native peoples as invisible. But it’s obvious that our first government leaders had a vision that, for the time, was supremely idealistic and would depend, above all, on its citizens to cooperate for the common good. In the early chapters of By the People: A History of Americans as Volunteers, Katie Campbell and I discuss all the many things that the first settlers did collaboratively, never thinking of themselves as “volunteers” in the modern sense. Survival depended on each community to develop self-sufficiency and accomplish the thousands of laborious chores necessary to build houses, plant and hunt food, protect the residents, care for the sick, and more. Doing critical tasks collectively also made them easier and provided the social glue of bringing distant neighbors together for recreation and courtship, as well. Our research uncovered much more than barn raisings and quilting bees. We learned of New Englanders who worked out ways to clear their roads of snow together and city residents who shared the task of lighting streets at night by a revolving schedule of hanging lanterns at their gates. We can only assume that, although no pay was involved, lack of compliance would bring disdain and ostracism. Only as villages and cities grew did it become necessary to create paying jobs to handle full-time what could no longer be done as extra work by neighbors. Taxes were levied by mutual agreement to share the costs of things that needed to be purchased for the collective good and to pay the salaries of public servants. It should be noted that taxes were not welcome and never loved, but they were accepted as necessary. And since, in theory, the citizens were voting on what the money was for, it was more palatable than it had been to turn over “taxes” to wealthy landowners for their personal gain. The history lesson is over (but you can learn a lot more in our book, if you wish). The real theme that I want to discuss here relates to my concern over the present situation in America and the too-prevalent belief that taxes are always bad and cutting government services is always good. We are coming dangerously close to refusing responsibility for anything other than what benefits me, myself, and I. When everyone contributes to the funding of government, the benefits increase and no one has an unfair burden. It was not meant to be a game in which the wealthy pay less while using more of the resources. On the local level, tax money goes to many of the same things colonists used to do as civic duty: keeping streets clean and safe; settling disputes; assuring public spaces for all; and much more. Years ago, New York City Mayor Ed Koch said something very wise in response to the unwillingness of people living in other parts of New York State and neighboring New Jersey and Connecticut to pay taxes for the city, too. He noted that all of those people relied on New York City to be there for them when they wanted to see a Broadway show or a museum, eat at fine restaurants, do research at its library and universities, travel through its international airports. If they expected to be able to do or use all these things, they had to make sure they remained funded and healthy. New York is an asset that belongs to more people than just its residents. On a personal note, while Energize has always been based in Philadelphia, for many years I have lived a few miles away in a different county. I cannot tell you how often people have ask me incredulously: “Why don’t you move out of that office and avoid things like the city’s wage tax?” To which I consistently reply, “I don’t want to. I love the city, use its resources and services, and so don’t mind paying the taxes.” Do I cringe every April when I write the checks? Of course. But I believe in the responsibilities of citizenship -- and I really do see paying taxes as on the continuum of acts of volunteering. Absolutely I want my tax money spent well and not wasted. That’s a very different issue than expecting public services to function without my financial contribution. So it is necessary to create both public and private paying jobs to provide the many services to the community that must be done continuously, but this does not imply an end to the need for citizen volunteers. For one thing, volunteers are “value added,” extending the scope and skills of paid staff, especially in concentrating on special needs and individual support. Volunteers allow all available funds to be spent on essentials and then contribute to stretching the budget, often providing things that could never be funded. Apart from volunteering that supports governmental and nonprofit agencies, we also still need the thousands of all-volunteer groups who pursue different civic, recreational, religious, and special interest needs – from gardening clubs to amateur sports leagues to the civic clubs who do things like organize July 4th celebrations. Not to mention informal volunteering or “random acts of kindness,” which certainly are firmly on the spectrum of volunteer activities. Neighborliness is service as well as kindness. If you take the widest possible view, you’ll see that a lot of things we expect of “good citizens” require a mindset of voluntaryness (along with obeying the law and doing what is best for themselves along with others). This ranges from voting to not littering to writing letters to the editor. We brake at stop signs and red lights because of a collective agreement that we have internalized about the rules of traffic. Perhaps I’m being simplistic, but those of us in volunteerism deal everyday with the best in people. Despite the nastiness of current public policy debate, the volunteers with whom we work accept responsibility. They put time and effort into doing things they care deeply about and love. As I’ve said before, volunteering is inherently a political act – it demonstrates concretely what the volunteer values in society. We need to find more opportunities to stress both the roots and meaning of freely giving one’s time, especially in a time-deprived world. Happy Independence Day to my fellow Americans – and a big smile for readers everywhere else. I hope this essay opens your eyes to the many voluntary acts that are part of democratic citizenship, since identifying them provides recognition and incentive to the many people who do, indeed, care for the common good. What’s your perspective on the interrelationship of democracy, the common good, taxes, and volunteering? I loved this article. Thank you for enlightening me to some ideas about volunteerism that I had not considered before! You're welcome! This is exactly the type of response I love. Too many people (unfortunately, often including government officials) are thoughtless rather than thoughtful about volunteerism. Thank you Susan for reminding us of those universal values, of interdependence and responsibilities of citizenship and of the social compact that binds us. These are the issues being debated here in New Zealand as we face the rise in inequality, homelessness, and poverty (and more), and a general election later in the year. I'd like to think we can develop a more participatory democracy, particularly through political acts of volunteer effort. And thank you, Sue, for reminding us of the global relevance of valuing interdependence! How would it be if we better appreciated and recognized citizens for their tax-giving? I have a dream that the wealthiest battle to be the biggest tax contributors to further help everyone in our country to do better.